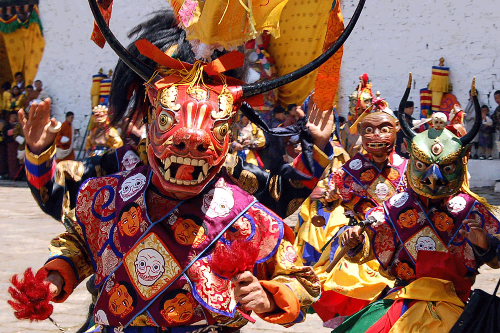 Bhutan is a country known for various sects of religion followed by the people. 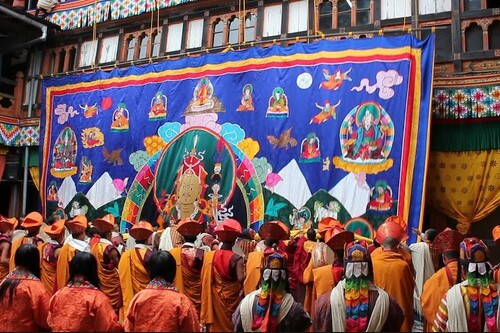 The prominent religion practiced is Buddhism in the form of Kagyupa and Nyingmapa. 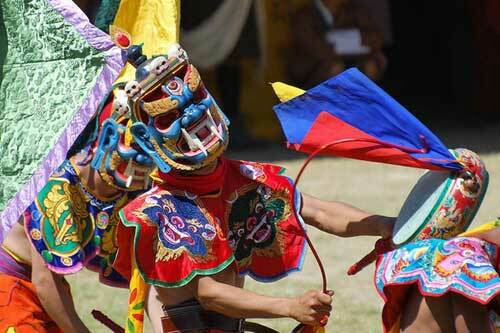 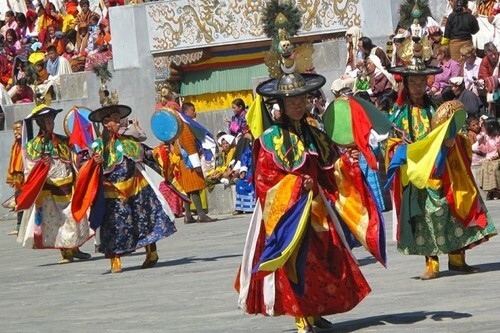 Tshechu (Tenth day) festivals are celebrated throughout the country in different monasteries and Dzongs (Fortress). 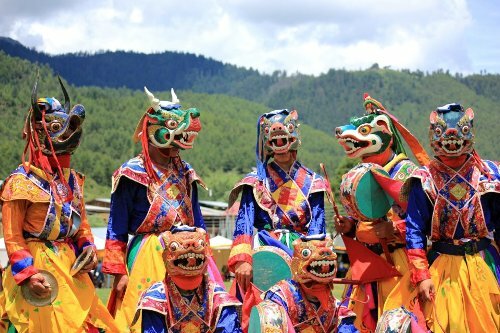 These Tshechu are mainly the religious activities, where mass gathering take place to receive blessings to get rid of sins. 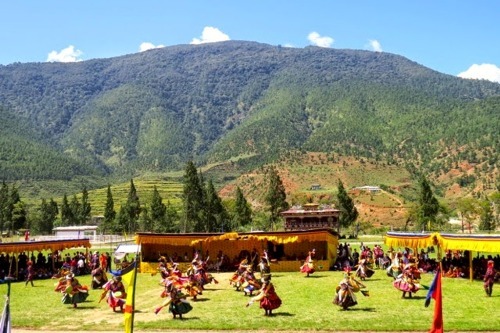 It is celebrated on 10th day of a month of lunar calendar corresponding to the birth of Guru Rimpoche (Guru Padmasambhava). 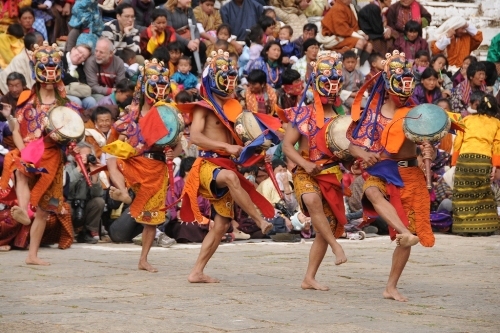 However Tshechu time differs from place to place and temple to temple. 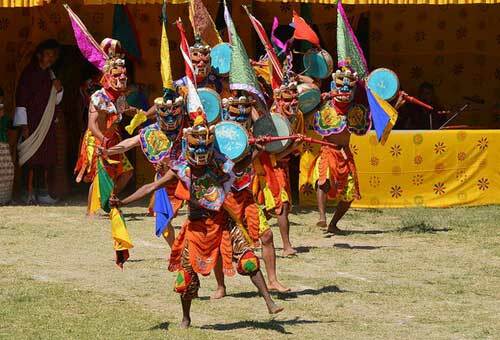 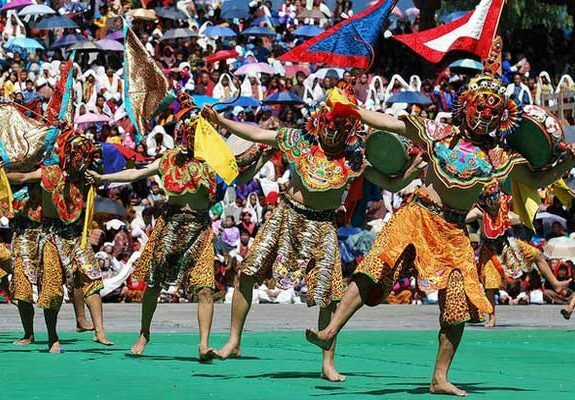 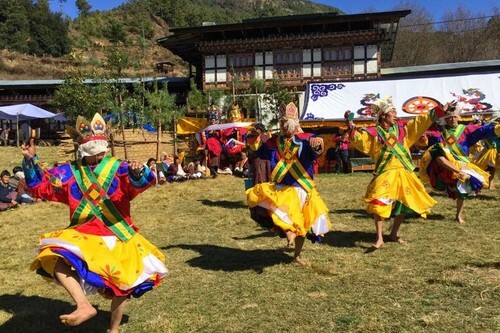 Tshechu consist of colourful Bhutanese dances and other entertainments based on the mythological interpretation of good deeds are always rewarded with positive consequences. 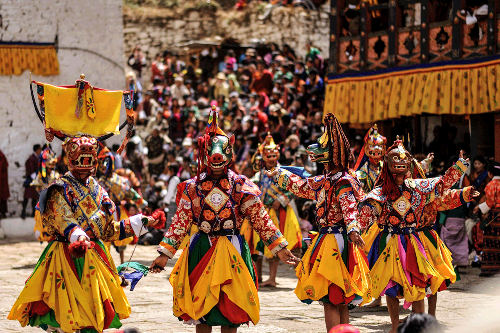 Buddhist teachings are imparted in the large gathering of devotees through dramatization in the form of various mask dances which are based on the time-immemorial incidents, dating back to 8th century specially the life of Guru Padmasambhava and to receive blessings from lamas. 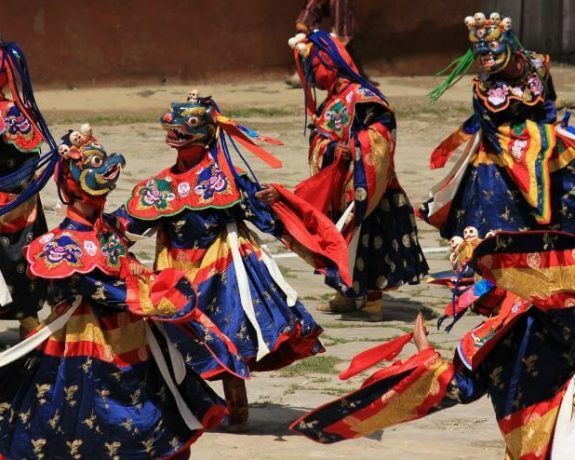 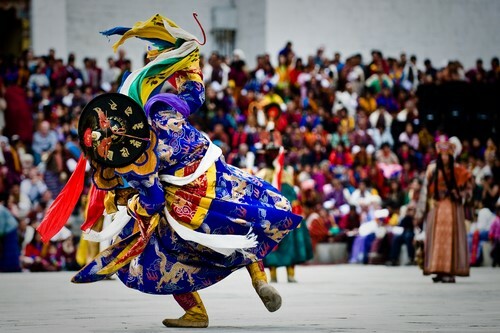 These dances are performed by monks in the Dzongs, Monasteries and also by village folks in the rural area. 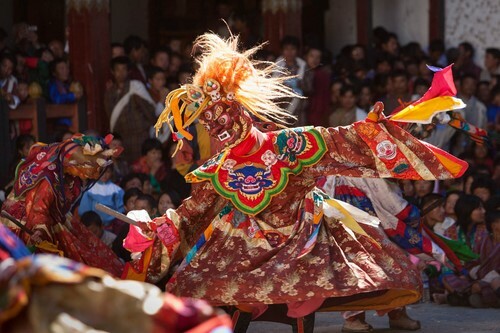 It is widely believed that everyone must attend Tshechus and witness mask dances at least once to receive the blessings to remove sins committed. 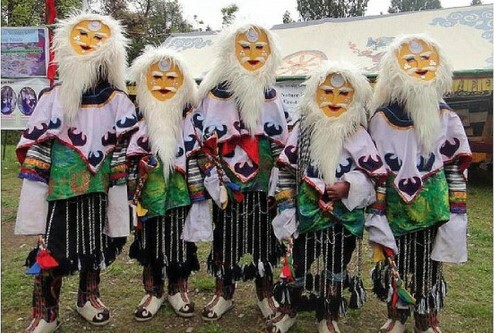 Every mask dance performed during the Tshechu bears religious significance with a story behind besides entertaining the expectators. 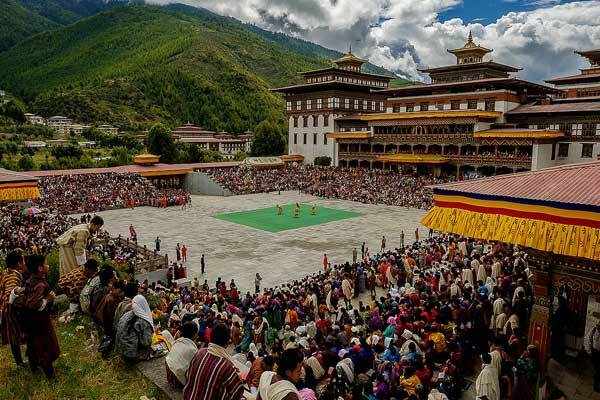 Celebration of religious functions in Bhutan attracts large gathering, as such commercial activities are always there around the venue such as food & tea stalls, shops, indoor games, sale of local produce, handicraft items etc. 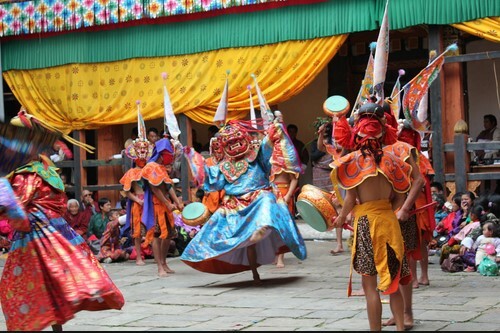 Visit to religious functions and Tshechus provide in-depth familiarization with Bhutanese customs, culture & traditions.